There are many daily flights from Athens to Mykonos and the actual trip is less than 40 minutes. 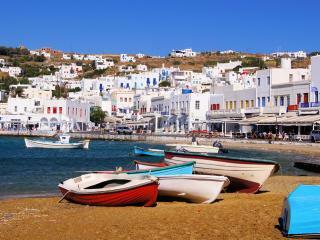 There are also direct charter flights from many European cities to Mykonos during the summer months. Daily ferries depart from the port of Piraeus stopping at Tinos and Syros islands prior to reaching Mykonos. The average ferry trip is around 5 hours but there are also faster boats. Ferries also depart from the port of Rafina which is north of Athens. 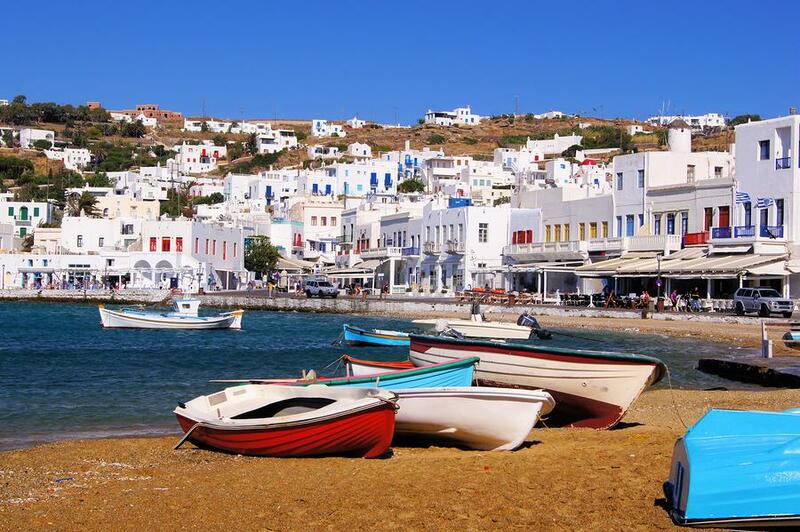 Mykonos, because of its location in the centre of the Aegean sea, also has excellent ferry connections with other nearby islands such as Paros, Naxos, Santorini, Ios, Sifnos and Milos. The best way to get around Mykonos is by motorbike or hire car. Buses especially in the summer can be very crowded but you can also use one of the many boats to reach the more secluded beaches on this island.